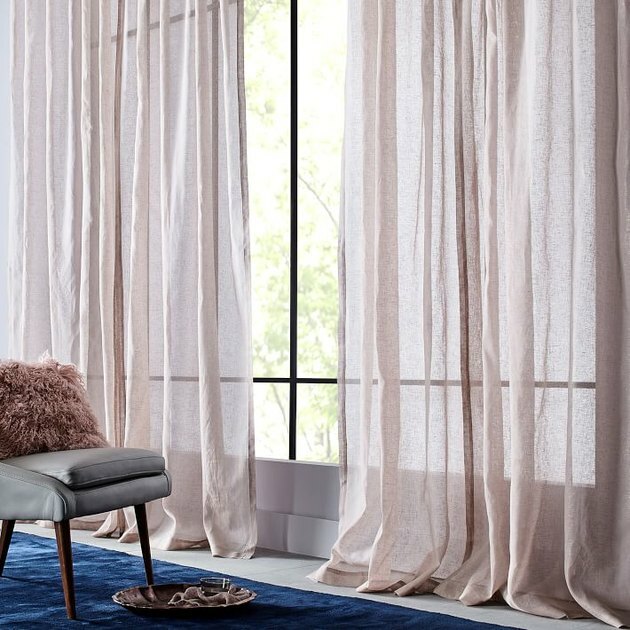 According to Pinterest, everyone's searching for "lighter, airier color palettes," including ash rose. This dustier version of super-sweet pink eliminates the sugar without veering off-trend entirely. If you haven't jumped on this blush-hued train yet, these ash rose accents are sure to get you on the right track. 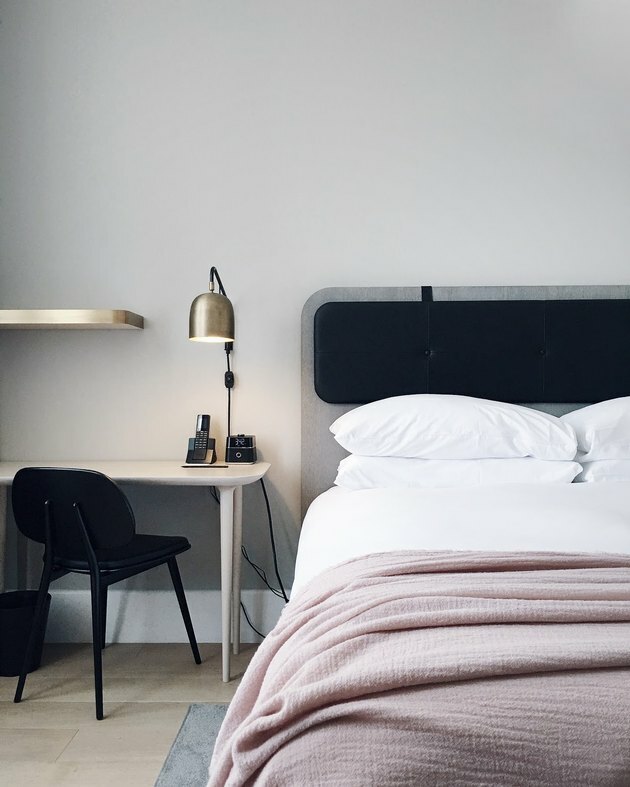 From bedding to paint to furniture, we've found 16 rosy accents that will get your home ready for its spring fling in no time. In case you missed the memo, rumpled linen is in, and we are completely obsessed with this trend in ash rose. Good looks aside, linen offers other benefits, as well — you'll find yourself cozy in the winter, airy in the summer, and never sweaty. 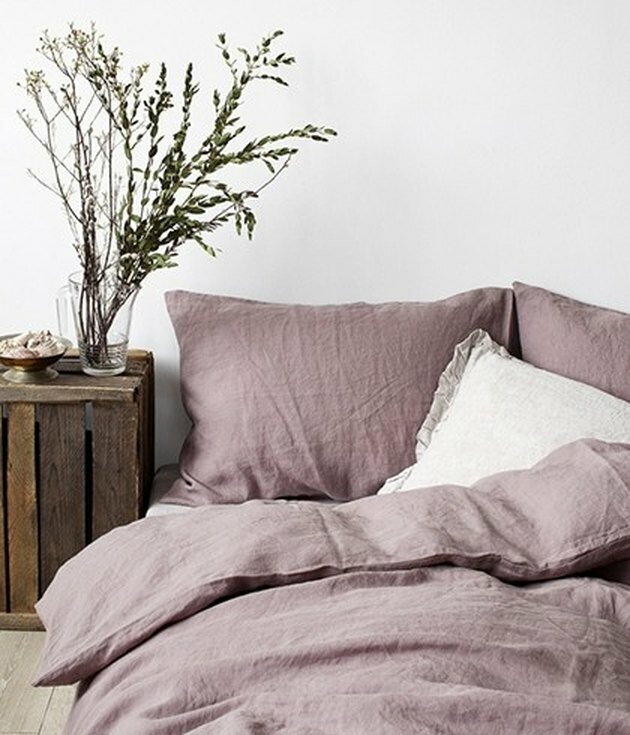 Good luck leaving this luxurious bedding every morning. 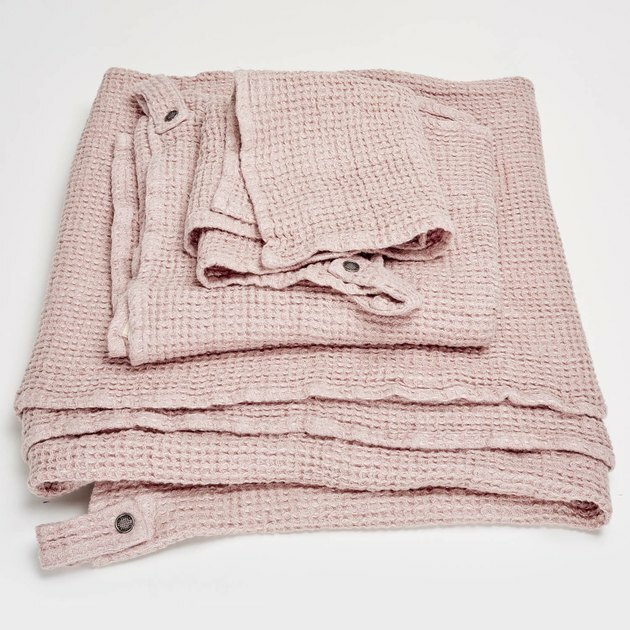 You had us at "made in France from 100 percent linen," but these lightweight, honeycomb weave towels look pretty darn good, too. 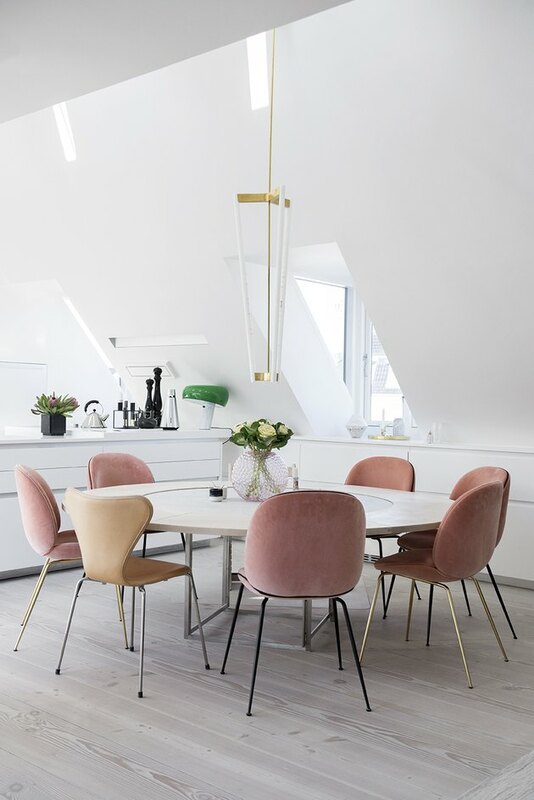 While we wish we could have a dining room like Cecilie Ingdal, editor-in-chief of Elle Denmark, these little rose-hued chairs might be a tad bit too pricey for us to buy a complete set. However, we might be able to splurge on one of them to make a swanky seat for our vanity table. Is there anything more gorgeous than a slab of pink marble? 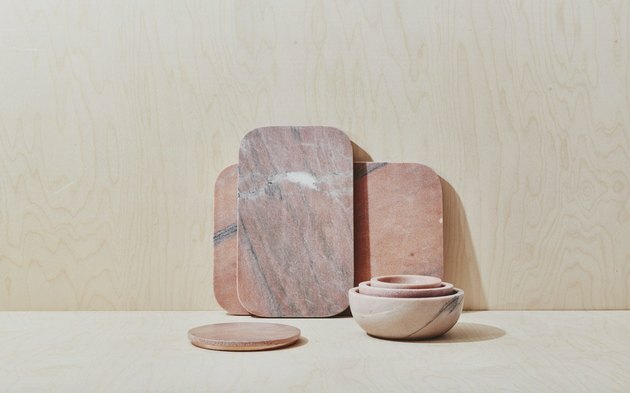 Yes, this pink marble serving collection! Leave your dinner guests speechless as they indulge in yummy hors d'oeuvres presented on these marbled pieces. 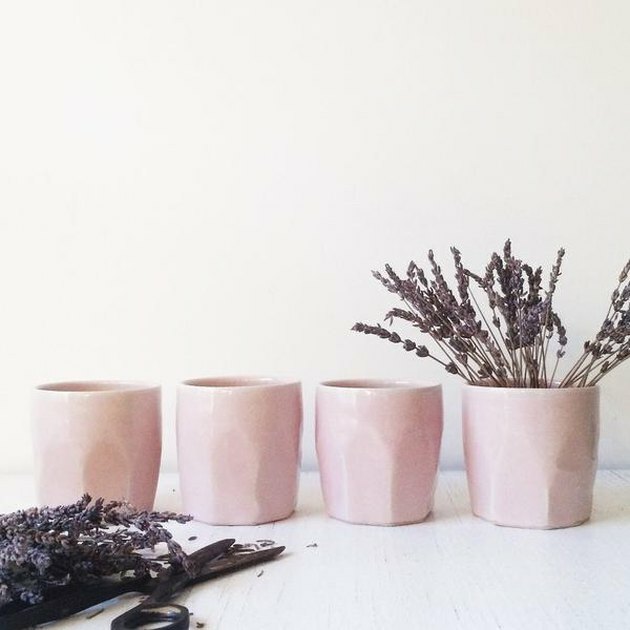 As the light pours through these rose-colored beauties, your home will dazzle with an elegant soft-pink tint. So, don't be surprised if you find yourself humming La Vie en Rose while tidying up your living room. 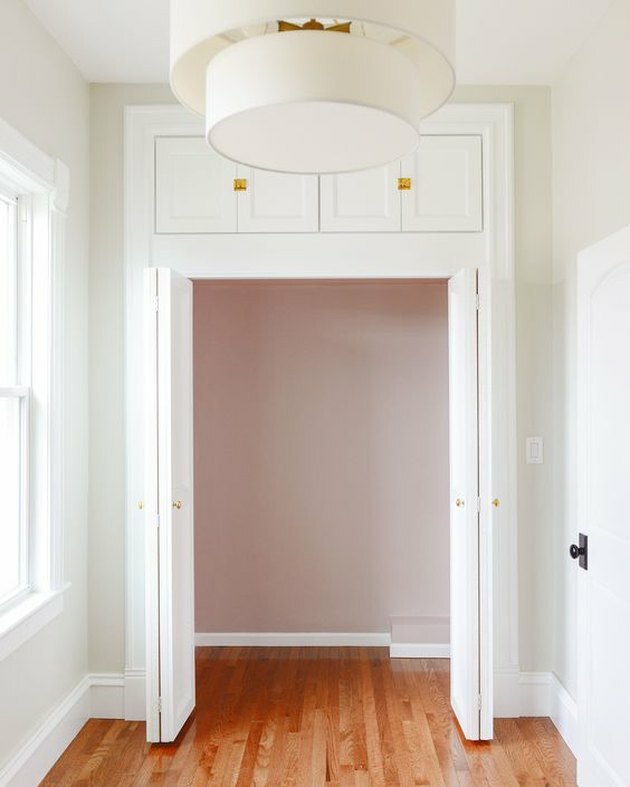 Follow the lead of Kim and Scott from the blog Yellow Brick Home and give your closet a pretty in pink makeover. They chose this subtle shade from Benjamin Moore which turned out lovely. This bag might look like leather, but it's actually made from .... drum roll, please ... paper! Can you believe it? 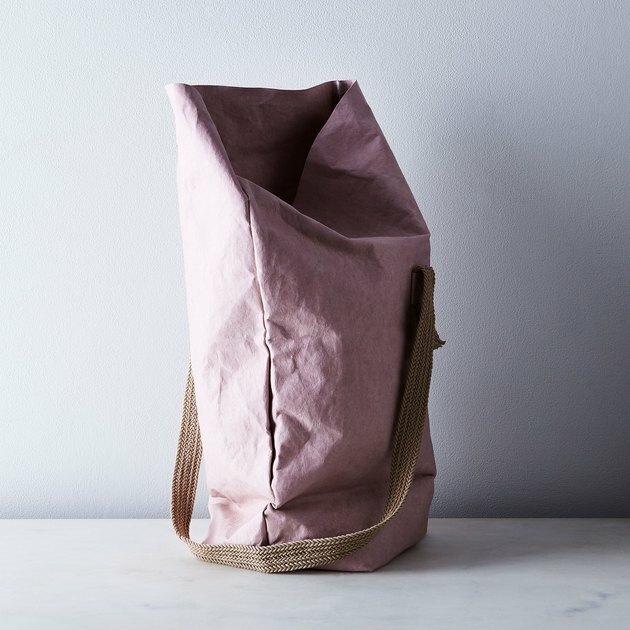 Perfectly sized, you can use this rosy tote for pretty much anything and everything — a trip to the beach, a stroll through the farmers' market, or just to run errands. 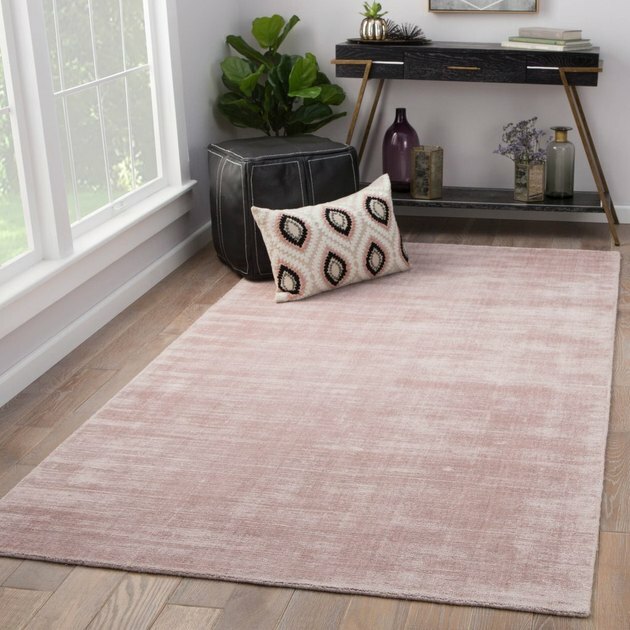 Your living room will be blushing with pride when you outfit it with this sweet hand-loomed viscose rug. A lustrous solid pink layer paired with a distressed design is a winning combination that will feel like a luxurious vacation for your feet. 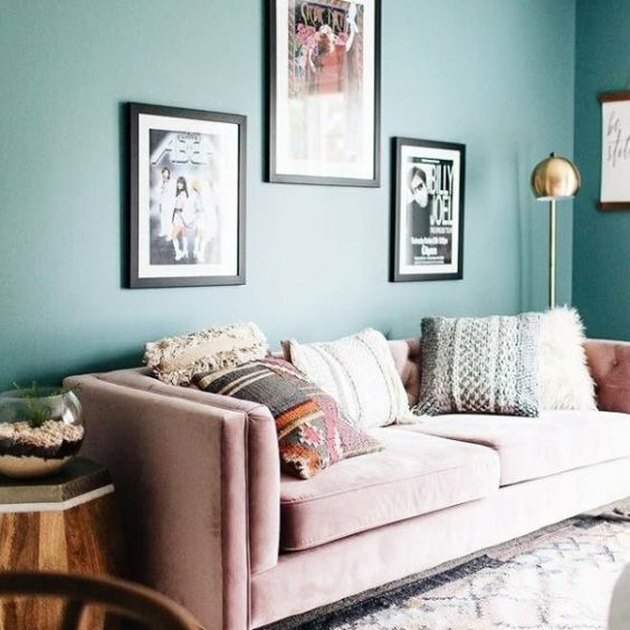 When you love a color, don't be afraid to take a risk, go bold, and ... buy a sofa in the same hue. 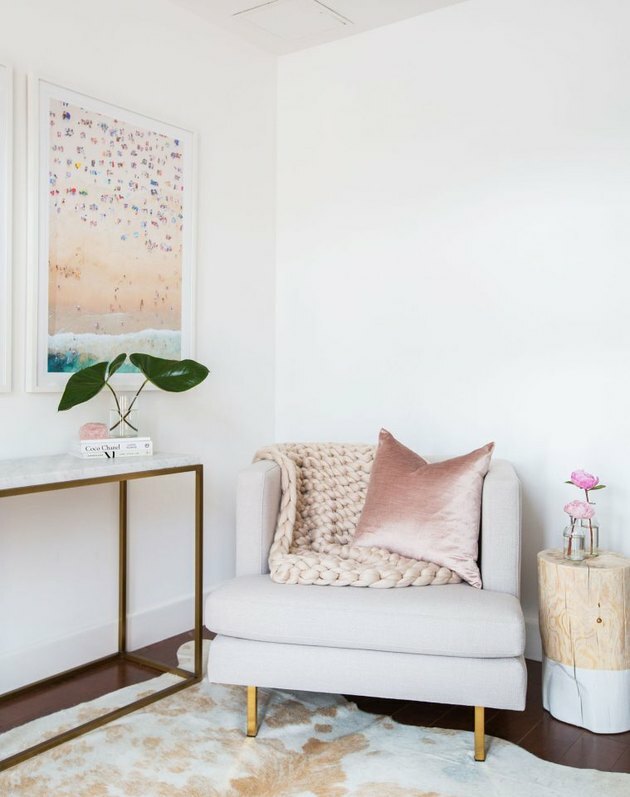 JK Designs took a chance with this dreamy ash rose sofa, and boy, oh boy did it pay off. First impressions are lasting. 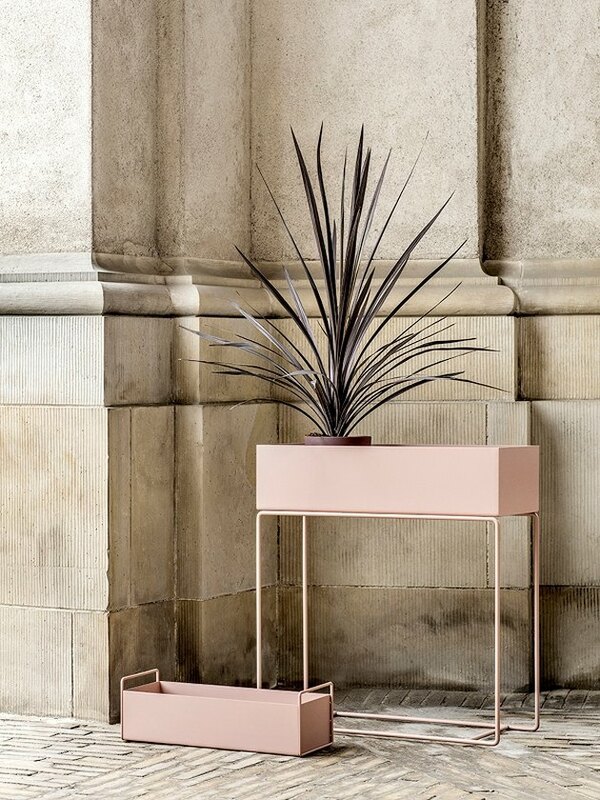 So welcome your guests in style by adding a little pink and greenery to your entryway with this chic pastel plant box. Accent walls don't have to be jewel-tone stunners or wall-to-wall chintz. 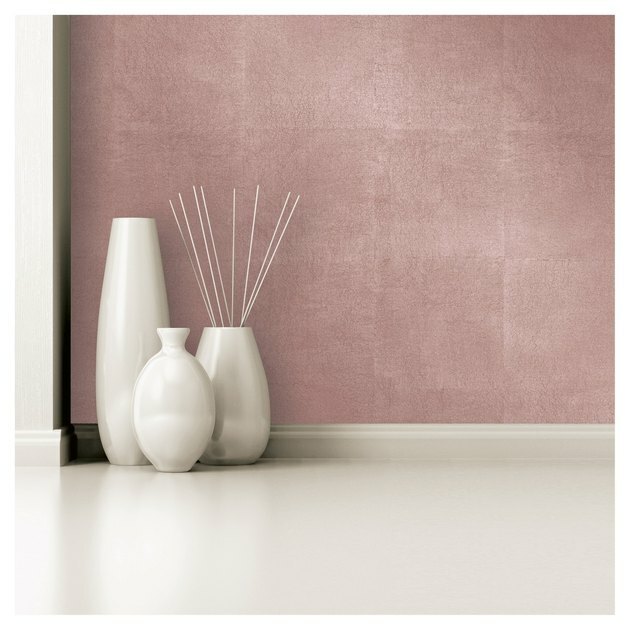 Add this rosy peel-and-stick wallpaper to your dining room or powder room for a hint of glitz and glamour. Ash rose accents aren't limited to textiles. 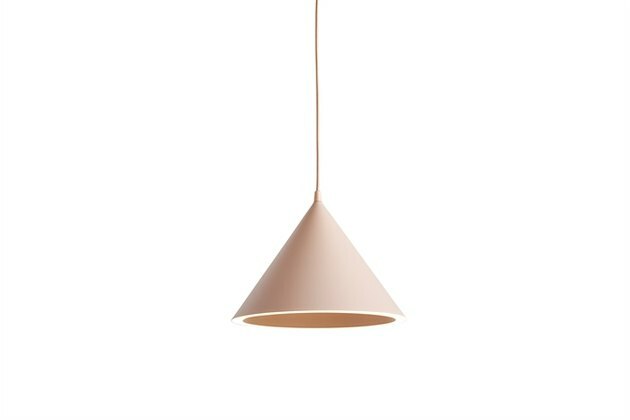 This cone-shaped pendant light can turn any desk into a minimalist showcase. 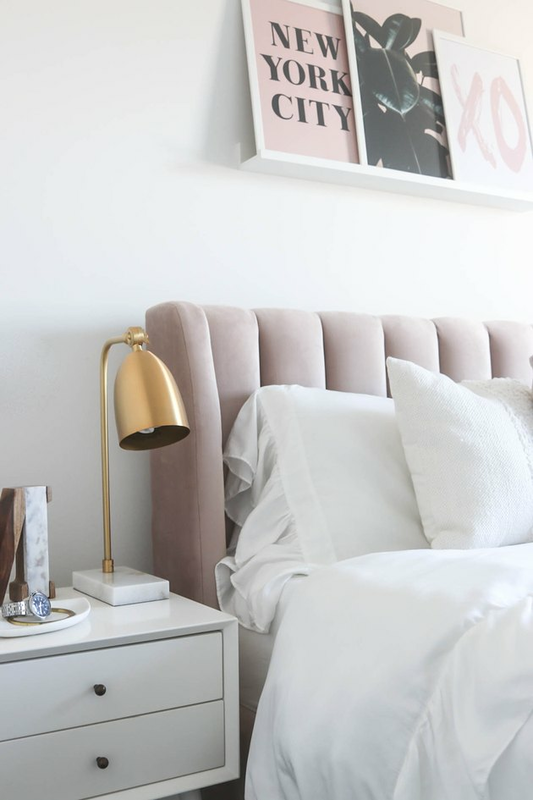 Teresa from the blog Money Can Buy Lipstick is living her best life with this chic bedroom. Take notes, and transform your sleeping quarters with a stunning channel-tufted headboard. You're pretty much guaranteed to have nothing but sweet dreams. Night cap anyone? These faceted whiskey tumblers — inspired by ceramists Peter and Ellen's rural Vermont childhoods — are a perfectly modern take on a glassware classic. Lifestyle blogger Marianna Hewitt from Life with Me knows a thing or two about style (have you seen her Insta account?). Follow her lead and cuddle up with this little blush-hued, velvet number. 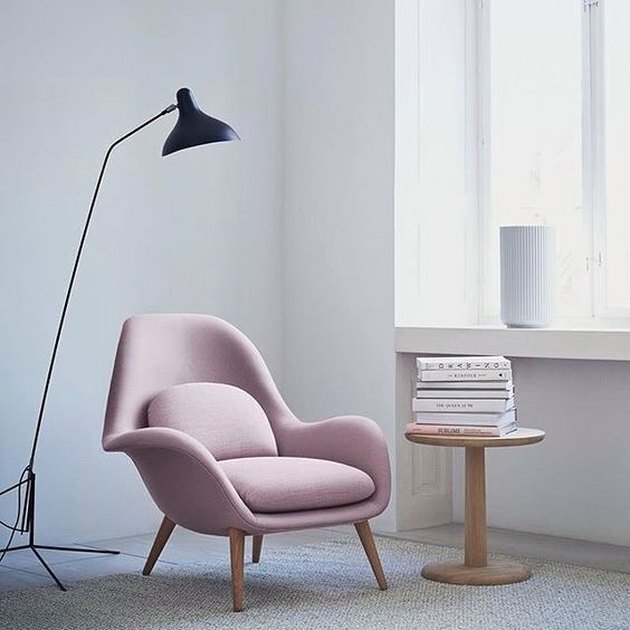 A vision in blush, this comfy lounge chair is what Scandinavian dreams are made of. Sit back, relax, and enjoy.